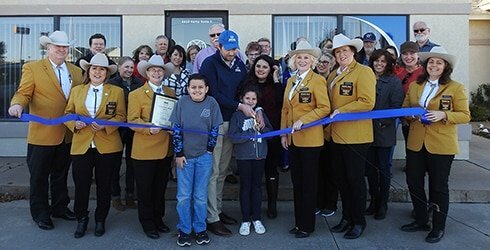 The Gold Coats have served as the welcoming Ambassadors for the business community in Wichita Falls for over 50 years! We would be glad to celebrate your grand opening, groundbreaking, or a noteworthy anniversary with you. If you are interested in becoming a Gold Coat Ambassador or scheduling a celebratory event, please contact Director of Membership Development, Christina Bell, at christina@wichitafallschamber.com or (940) 723-2741. Attend Chamber functions including Business After Hours and Wake Up Wichita Falls. Positively representing the Chamber in all aspects of the community. Actively participate in Ribbon Cutting, Grand Opening and Groundbreaking Ceremonies. Assist the Chamber in membership recruitment and retention efforts.